Developments pertain to various condominium projects, townhouse communities or land within a new gated community or area for sale and long term rental in Barbados. Adams Castle Estate offers 104 lots for sale on the South coast of Barbados and has been ideally configured as a secure residential community with fixed entry points, wide verges and comprehensive street lighting to maximise safety. Lot sizes: from 6,704 sq. ft. to 26,501 sq. ft.
Apes Hill Polo Villas comprise of 20 luxurious semi-detached 3 bedroom villas designed by renowned architect Larry Warren and set within the 54-acre Water Hall Polo Estate. Along with the polo club, tennis and golf is next door at Apes Hill Club. Beach View is a West coast self-catering hotel condominium hotel comprising of 2 and 3 bedroom apartments for sale situated on the Platinum coast of Barbados, set on 3 acres of beautifully landscaped gardens, across the road from the stunning waters of Paynes Bay. Floor area: from 1,372 sq. ft.
Boarded Hall Green in St. George is a new eco-friendly gated Barbados condominium community for sale with modern, architect-designed living for its residences. This countryside development offers 6 studios, 30 one-bed and 21 two-bed apartments. Floor area: from 557 sq. ft. Phase 1 of this exclusive development caters for 25 properties, within a controlled access environment and is located on a ridge in Enterprise adjacent to The South Point Lighthouse. 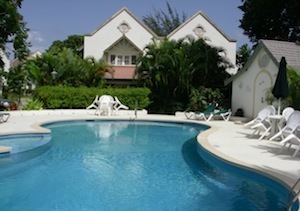 The infamous Miami beach and amenities in Oistins are nearby. Floor area: from 8,955 sq. ft. to 11,885 sq. ft.
Claridges is a luxurious development of townhouses for sale, set on over two acres of lush, tropically landscaped gardens on the West coast of Barbados. These townhouses are turn key ready and the development boast a 3,000 square foot waterfall swimming pool. 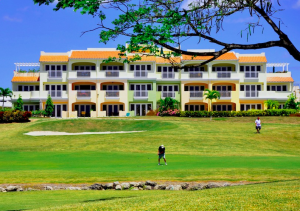 El Sol Sureño is a Mediterranean style condominium which overlooks The Barbados Golf Club and offers 2 and 3 bedroom apartments for sale, long term rental and holiday rental. For the golf enthusiast and a great rental investment. Gunsite development is an exclusive 32 townhouse gated community which is set high on a ridge on the South coast. These 3 bedroom townhouse enjoy a quiet, serene garden ambience with a shared pool at the centre of the development. 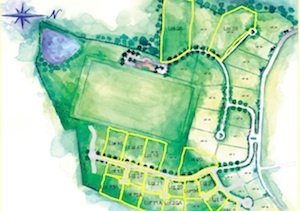 Lion Castle Polo Estate is a 64 acre community offering 20 remaining plots of land set on a hilltop on the countryside. There are estate lots for larger homes with pools or club lots for smaller more intimate builds. Lot sizes: from 17,438 sq. ft. to 109,469 sq. ft. Ocean Reef is a 5 level condominium building within secure gated premises located on the beachfront on the South coast and consisting of 2 and 3 bedroom luxury apartments with ocean views. Amenities are close by. Floor areas: from 1,781 sq. ft. to 2,074 sq. ft. 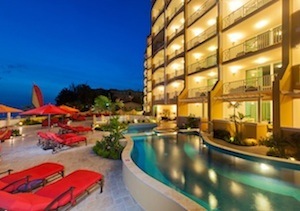 Ocean Two offers 72 one and two bedroom units built to the standard of a 4 star property, with oceanfront views, a beautiful pool with a swim-up bar, state of the art fitness centre, oceanfront restaurant and nearby nightlife in St. Lawrence Gap. Floor areas: from 806 sq. ft. to 1,664 sq. ft.
Palm Beach Condos is set on over four acres of lush, tropically landscaped, beachfront property in Hastings Christ Church with 59 residences in total surrounding a communal pool. Floor area: 2,268 sq. ft. 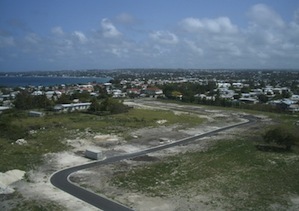 Port Ferdinand is a luxury marina development for sale featuring 120 berths and 86 luxury residences. The 32 units in Phase 1 under construction include 2, 3 & 4 bedroom residences each with a private berth starting at 60 feet in length. Floor area: 2,563 to 4,322 sq. 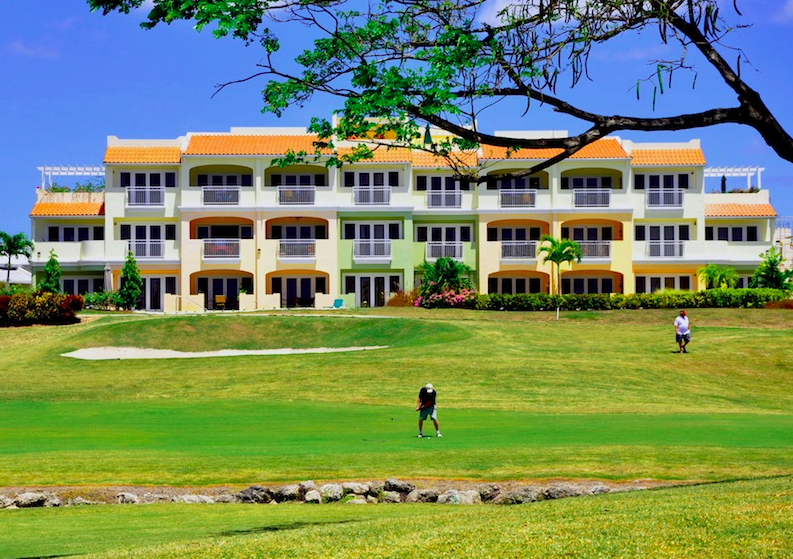 ft.
Rockley Golf & Country Club consists of 10 clusters made up of townhouses, one and two bedroom apartments as well as studio apartments. 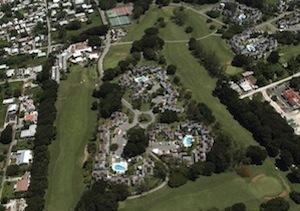 Most clusters have communal pools and all have access to the club house, golf course and tennis facilities. Floor area: From 416 sq. ft. to 1,100 sq. 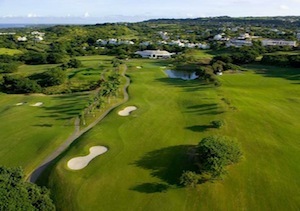 ft.
Royal Westmoreland is a 750 acre exclusive 5 star residential resort of grand residences, luxury villas and premier apartments discreetly set around 18 holes of championship world class golf course designed by Robert Trent Jones Junior. 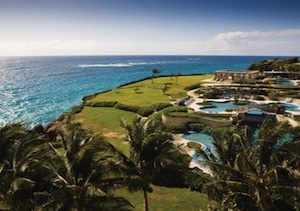 St. Lawrence Beach Conodminiums is a beachfront development in Barbados consisting of 17 luxury apartments for sale on the South coast of the island. 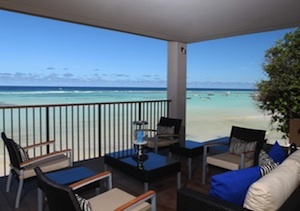 There are 2 and 3 bedroom units spanning five floors which boast private patios with ocean views. Floor area: From 1,044 to 1,740 sq. ft.
St. Peter’s Bay is a beachfront Barbados development for sale comprising of three and four bedroom apartments located on the West coast of the island with on site concierge and 24 hour security. Floor area: From 2,700 sq. ft. to 6,330 sq. ft. The 3 types of ownership for 1, 2 and 3 bedroom apartments at The Crane include vacation, fractional and full ownership. Many amenities on site such as a convenient store, restaurants, shops, art galleries and Crane beach just steps away. The Palisades is an eminently designed development of 16 townhouses and 1 main house, located a stone’s throw away from Atlantic Shores and Oistins. 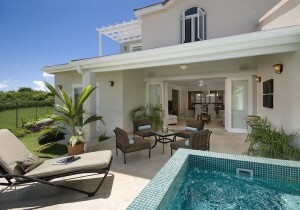 This chic “beach contemporary’ residence enjoys a premier location on Barbados’ South coast. The Sands will house 87 stylish, spacious and flexible ‘inside out’ beachfront contemporary units, with wonderful sea views and high quality resort facilities . In addition, fully managed freehold ownership with assured rental returns is guaranteed. Floor area: From 486 sq. ft.
Vuemont Apartments are two bedroom, two bathroom apartments for sale in Barbados situated in a gated development in the parish of St. Peter. These apartments provide an excellent opportunity to enjoy contemporary Barbadian living available to residents. Floor area: 1,569 sq. ft.
Vuemont Villas are located in a gated development situated on the North coast of the island in the parish of St. Peter. 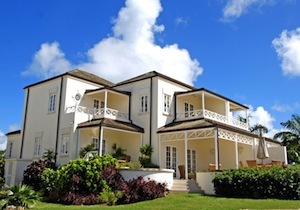 Purchasers of these Barbados Villas have the option for a two bedroom, two bathroom or a three bedroom, two bathroom villa. Waterside is a beachfront development for sale that offers 26 luxury condominiums situated on the Platinum coast of Barbados and comprises of one, two, three and five bedroom apartments. Waterside features a modern designer pool over 30 metres long. Floor area: 854 to 3,634 sq. 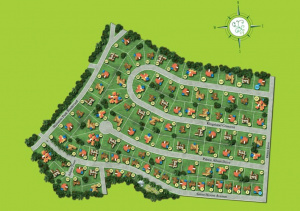 ft.
Welches Grove is the ideal combination of style, affordability and convenience. Phase 1C features two options of three bedroom townhouses, the “Peace Lily” and “Morning Glory”, both designed with 2.5 bathrooms.The “Amaryllis” design is a single storey standalone units also with 3 bedrooms & 2 bathrooms. Floor area: 1,268 to 1,410 sq. ft.